Profile: On April 1, 1995 A Christina Breen-Hale opened her own STATE FARM Insurance Agency. Christina has a gift for listening to her client’s goals, dreams, and fears, many say “I get more than just insurance from this agency”. 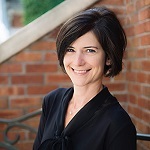 A native of Rochester, Agent Christina is proud to provide insurance and financial services to her extended neighborhood from her quaint, home-like office at 3093 West Ridge Road,(next to Friendly’s). Her fully licensed and dedicated office team brings unique and qualified insurance background that brings success of her agency. “It’s a great feeling knowing that you’ve helped your clients prepare to enjoy the best life has to offer while preparing in case the worst happens”, states Mrs. Breen-Hale. There is no doubt her philosophy is to live life to its fullest each and every day! Profile: My specialty is Small Businesses with revenues of $10,000,000 and less. 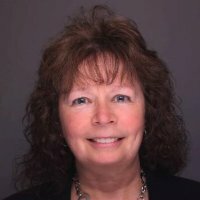 My experience is in a variety of industries, from professionals and service organizations, to manufacturing.I have been in my field for 30 years -25 with M&T Bank. We offer professional service and resources to help businesses -start-grow-maintain-exit.